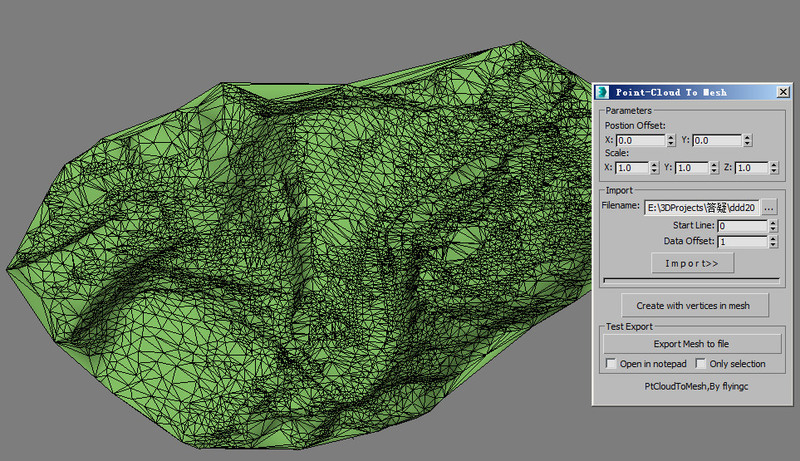 TerrainAxe-Create tools work on a polygon object and are used to create new faces or structure. Because it is very hard to describe so many tools of TerrainAxe in a single post,so they will be introduced by category in different posts. 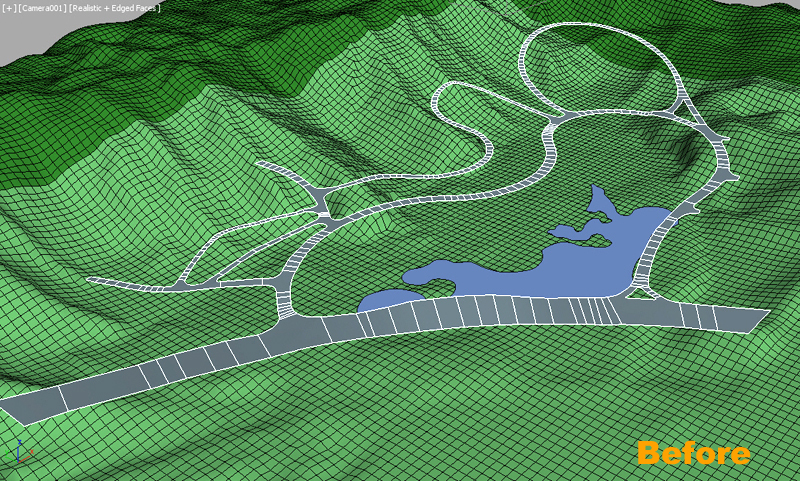 StitchPoly:Create new faces between borders and is ofen used to patch the gap between roads and terrain. Here is a little fun script: Create a spline terrain and add the terrain modifier plus some displacement. Simple tools for working with splines in 3dsMax. -Clean up *Convert to spline and perform overlapping points weld. -VArranger *Arrange selected splines by input z values and optionaly create a surface. Used to create terrain from drawing. This script will analyse the slope of different regions of an object such as a terrain by computing the angle between the face normal and a specified vector direction (default: z-axis). You can adjust the displayed colour ranges by changing the range min and max values as well as the steps between the colours. The script uses a multilateral to assign different material IDs to each face based on its angle calculation. Directly embed single-side polygon in terrain. The tool work on Editable polygon objects. Keep terrain being selected and pick another polygon surfaces is OK. 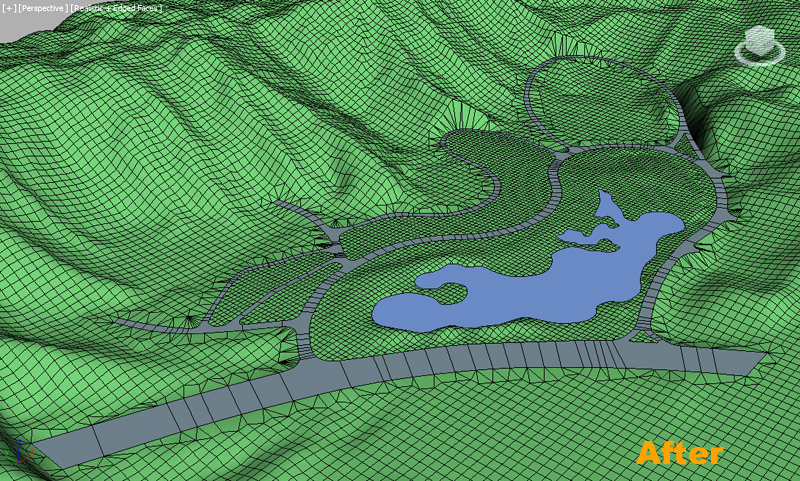 The Stitch tools work on editable polyon object ,and create new faces between selected open edges(borders),which are mainly used to connect roads and terrain. In this update,stitch algorithm has been improved and enhanced,error probability is reduced greatly,no longer need to clear jags of borders but final triangluation is much better. MoveVerts:similar with conform Compound object,but easy and more free. SmoothRoad(blur),SmoothRoad(linear):Make road have a smooth transition between different elevation,meanwhile keep cross-section level. Recently updated function:PCloudToMesh,a tool to read points from a text file to create a terrain mesh.